Jul & Aug 63 E.L. James Island S.C.
Jan & Feb 63 Camp Milton Fl. Enlisted 61 in Floyd Co. Ga.
Mustered 8-31-61 Camp McDonald, Ga. Admitted CSA Gen Hosp #11 Charlotte, N.C. 3-20-65 Vulmus Sclopeticum lower extremities right side, furloughed 3-28-65 included in service record is an un-readable letter to a Mrs. King, dated 5-7-1952 , (1952 isn’t a mistake ) Jacksonville, Fl. Wife: Mary R, married 2-6-1866 Columbia, Appling Co. Ga. Filed for pension in Habersham Co. Ga.
Died 2-11-1914 Habersham Co. Ga.
Boswell, John C Ensign/ 1st Lt. Roll Feb 62 present at Yorktown, Va.
Terrell, Charles T 2nd Lt.
Born; 6-1842 Murray Co. Ga.
Mar/Apr 64 present = reduced in ranks from Sgt., by General Order limiting Companies to 4 Sgts. to take effect 4-1-64, was paid Private’s wages for Jan/Feb 64, leaving $12.00 due balance on last pay. Wife; G A Bell, married 7-3-1868 Gordon Co. Ga.
Died 4-24-1902 Gordon County, Ga.
Born: 4-10-1834 Floyd Co. Ga. Filed for pension in Floyd Co. Ga.
Born: 8-27-1838 Jackson Co. Ga. Wife: Belle M, married 3-15-1888 Gordon Co. Ga. Filed in Gordon Co. Ga.
Died: 5-3-1902 Rome, Floyd Co. Ga. Admitted Chimborazo #4, 7-1-62 sent to Danville, Va. Roll Nov/Dec 63 Died at Hospital 12-28-63 in Charleston, S.C. Admitted Jackson Hosp 5-17-64 Vulna Sclopiticum nose minie ball, transferred to Columbia S.C.
Pension filed in Gordon Co. Ga.
POW at Elmira Prison, in Elmira, N.Y. Discharged 4-10-63 at Fredericksburg, Va. because of gun shot wound to the left eye, 36 yrs, 6’ 1”1/2“ tall, Dark complexion, dark eyes, black hair, Farmer Blinkheep of the left eye occasioned by a gun shot wound striking him directly in the globe of the ball, popping out near the left ear, injuring slightly the right eye, which gives him great pain when he becomes over heated. Watering up on the least exposure to the wind. Surgeon suggests discharge. Enlisted 8-61 Floyd Co. Ga. mustered 8-31-61 Camp McDonald, Ga.
Pension filed Chattooga Co. Ga.
Born; 1834 Franklin Co, Ga. Present at surrender, Surrendered at Greensboro, NC. Pension filed in Gordon Co, Ga.
Enlisted July 61 Calhoun, Gordon Co. Ga. Wife; Minerva A. married 10-18-1852 Floyd Co. Ga.
Pension filed in Floyd Co.
Died; 4-28-1907 Floyd Co, Ga.
Born; 4-10-1824 Oglethorpe Co. Ga. Roll Nov/Dec 63 temporarily transferred to Brass Band 23rd Georgia, Inf. Enlisted 9-24-61 Camp McDonald, Ga.
Dec 61 and Jan/Feb 62 Rolls states; absent sick since 11-24-61, last in hospital in Richmond, Va.
Born in Floyd County, Ga.
Died 8-4-62 at Gen Hosp #2 Lynchburg, Va. Appears on a list of soldiers that died of wounds or disease. Admitted Chimborazo #4, 5-12-62 Fever Intermittent sent to Lynchburg, Va. Killed at Battery Wagner, Charleston S.C. 8-25-63, Wife; Sarah A E Cooper from Floyd County, Ga.
23 yrs, Born in N.C., last resided in N.C., 5’6”1/2” tall, Fair complexion, Dark hair, Gray eyes. Captured at Weldon Rail Road 8-19-64, received at City Point, Va. 8-24-64, held at Point Lookout, Md. and released 10-14-64, on Joining the U.S. Army, Co. B 4th U.S. Vol. mustered out with Company 6-18-66 at Fort Leavenworth, Ks. Filed for pension Floyd Co. Ga. Wife: Sarah M. married 3-7-1860 Floyd Co.
Died: 2-9-1909 Floyd Co. Ga.
Enlisted 3-1-62 Rome, Ga. by Lt. Mayes 24 yrs, and went to Yorktown, Va.
Enlisted 8-61 Floyd Co., mustered 8-31-61 Camp McDonald, Ga. Filed for pension Walker Co. Ga. Captured Weldon Rail Road 8-19-64, arrived at City Point, Va. 8-24-64, sent to Point Lookout, Md., transferred to Aikens Landing 3-14-65 for exchange. Admitted Gen Hosp #9 6-22-64 Vulna Sclopiticum Head, this is the last list he appears on. Wife: Sarah M, married 10-24-1867 Everette, Floyd Co. Ga.
Enlisted 6-14-61 Vanwert, Ga. by Gov. Brown as private in Co. D Phillip’s Legion Ga. Inf. 6-11-61. transferred to Co. C 23rd Ga. Admitted Military Gen Hosp #4 N.C. 8-8-63, for Debility, returned to duty 8-11-63, P.O. Vanwert, Ga.
See personal papers of Captain W. W. Ramsay 4th Ga. Inf. Enlisted 9-26-61 Camp McDonald, Ga.
Enlisted 9-20-61 Camp McDonald, Ga. Wife: Margaret C., filed for pension in Pickens Co. Ga.
Died: 3-8-1902 Pickens Co. Ga.
enlisted sometime in the spring or summer of 1864, the only records of this boy is two medical cards filed with Joseph Garrett's records of Co. G.
James is listed in the 1860 census with his father Joshua and four brothers, Isaiah, Ansel, and Zachariah, in Sonora, Gordon, Ga. all served in the civil war, his father Joshua and brother Zachariah served with the 40th Ga Inf. his other brothers served in company C.
J. Garrett appears on a report of sick and wounded in Camp Winder General Hospital in Richmond, Va. for month of November 1862, for discharges on Surgeons Certificate and Deaths. disease is listed as pneumonia and date of death as Nov 24th 1862, he is most likely buried in Richmond, Va. Roll 12-61 absent sick since 12-10-61 in Hosp in Richmond, Va.
Father: E.L.W. Griffith, Floyd Springs, Ga.
19 yrs, Dark eyes, Dark Hair, Dark Complexion, Born Jackson County Ga. Admitted Jackson Hosp 8-20-64 to 8-27-64 rmks: Union Springs, Ala. Admitted CSA Gen Hosp #3 Goldsboro, N.C. 1-15-65 pneumonia, transferred from Wilmington, N.C. Detailed as Pioneer at Kingston N.C., 3-1-61, Top Sail Sound, N.C. & James Island, S.C. Admitted Wayside Gen Hosp #9, 10-1-64 transferred to Jackson hosp, Richmond, Va.
Died: 7-26-1908 Gordon Co. Ga. Wife: Frances West, married 4-22-1889 Gordon Co. Ga.
Mustered 8-30-61 Camp McDonald, Ga.
Born 2 November 1830 in Georgia (probably Floyd County). Enlisted as a private in the Confederate Army on 31 August 1861; died 29 September 1864 at Fort Harrison, Richmond, Virginia. He had been promoted to 1st Sergeant by the time of his death. Admitted Chimborazo hosp #4, 5-6-63 gun shot wound right hand & scalp & Erysipelas & Karditis, to 6-4-63, wounded at Chancellorsville? Admitted Gen Hosp #2 Lynchburg, Va.
Died of Typhoid fever 8-22-62 at Taliaferro’s factory near Lynchburg, Va.
“Packed up & sent to Calhoun, Ga.
Father: William H Isham, Calhoun, Gordon County Ga. Admitted Gen Hosp #13 6-8-62 P.O. Dirttown, Floyd County, Ga., transferred to Petersburg, Va. Mother: Rebecca Johnson, Rome, Floyd County, Ga.
Born in Cass County Ga.
Enlisted 5-1-63 at Richmond, Va. Wife: Rebecca, married 6-3-1875 Berrien Co. Ga.
Died: 10-22-1916 Adel, Berrien Co. Ga. Filed for pension in Cook Co. Ga.
Enlisted 9-16-61 Camp McDonald, Ga.
Father: James M Lester of Floyd Springs Ga.
pension #S5349 Hamilton County Tenn.
Enlisted Aug 1862, mustered Camp McDonald, Ga.
Mary filed for pension in Gordon Co. Ga.
Enlisted 8-4-63 Rome, Ga. transferred to this Co. from Gastrell’s Cavalry Co. I Escorts for Gen Forrest in exchange for Asphosio Earle of this Co. Admitted Jackson Hosp Richmond, Va. 7-31-64 for Vulmus Sclopeticum in left thigh, furloughed 30 days starting 9-1-64 to Fort Valley, Ga.
another med card Shows he died at Maryland Hosp Richmond Va.
Born in Floyd County Ga.
Enlisted 2-1-64 at James Island, S.C.
Died 10-10-62 in Hospital in Staunton, Va. buried in Thomrose Cemetery, Staunton, Va. Wife; Charlotte C Patman, Floyd County Ga. Wife: C.O. Patman, filed pension in Walker Co. Ga. Captured Boonsboro, Md. 10-3-62 confined until exchanged at Fort Monroe, Va.
12-8-62, sent to Fort Monroe for exchange 12-8-62 from Fort McHenry, Md. Head Quarters Dept. of Northern Virginia, Gen Lee. Family lore states that Mr. Pollard raised his head from the trench he was in to light his pipe, and when he did, he was shot in the head, this story was passed down through the generations. Admitted Chimborazo #2, 5-11-62 typhoid fever transferred to Lynchburg, Va. 5-27 or Farmville, Va. Admitted Gen Hosp #4 Wilmington, N.C. 7-14-63 Debility returned to duty 7-15-63, P.O. Villinow, Ga. Admitted USA Gen Hosp West’s Bids. Baltimore, Md. from Philadelphia 11-16-64, transferred to Gen Hosp 2-16-65, remarks; Fort McHenry for exchange, Paroled there Feb 65 and transferred to James River, Va. for exchange. Captured at Weldon Rail Road 8-19-64 near Petersburg, Va. arrived at City Point, Va.
Enlisted 8-30-61 Camp McDonald, Ga.
Father: Benjamin Reynolds of Floyd Springs, Ga. 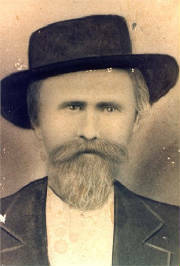 Wife; Martha Roberson, received his bounty on 11-23-63 in Rome, Ga. Admitted Jackson Hosp Richmond, 8-7-64 acute diarrhea, furloughed 30 days 8-18-64 to Greensboro, Ga.
Born: 5-5-1829 Cherokee Co. Ga. Wife: Mary E, married 1851, filed pension in Cobb Co. Ga.
Died: 5-17-1872 Milton Co. GA.
Reference envelope see 22nd La. Inf. Admitted Chimborazo Hosp #4, 6-29-62 fever continuous. Released 6-20-65 from Point Lookout, Md. Enlisted Aug 1861 at Floyd Springs Ga. , mustered 8-31-61 Camp McDonald, Ga. Filed for pension in Cleveland Co. Ark. 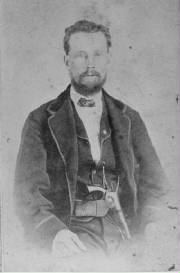 Born 9-7-1842 Cass Co. Ga.
Enlisted 8-31-61 Big Shanty Ga. Wounded: March 19-21-1865, at the Battle of Kinston, NC, gunshot wound through left hip, J P Everett seen him carried from the battlefield by the litter corps, has 2 scars about 4 inches apart, wounded about three weeks before surrender. Filed pension Floyd Co. Ga.
Died: 3-23-1904 Gordon Co. Ga. 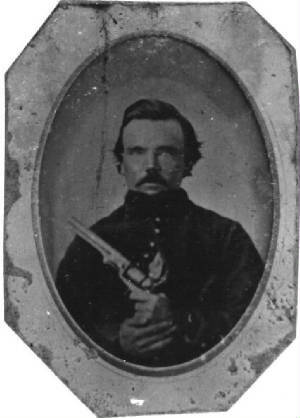 Killed in Battle 6-27-64 at Petersburg, Va.
Enlisted 6-12-61 in Co. B 9th Ga. Inf. Wife: M.E., married 10-6-66 Gordon Co. Ga.
Died: 12-28 1913 Floyd Co. Ga.
Enlisted 8-62 near Richmond Va., enlisted 12-22-63 Calhoun, Ga. Roll Dec 61 absent sick since Nov 28th 61, last in hospital in Richmond, Va.
Died 9-21-62 of disease in hospital of typhoid , Wife; Elizabeth Wood, Rome, Ga.
POW at Military Prison, Louisville, Ky. 9-1-64, forwarded from Nashville, Tenn.